With all the recent and irritating media attention on going gluten-free–and by this I mean the idiotic celebrities poking fun at a “fad diet”–Jennifer’s Way: My Journey with Celiac Disease by Jennifer Esposito (Da Capo Press, 2014) is a frank and accurate account of what it’s like to live with this debilitating disease. While I strive to live a full and productive and happy life with this autoimmune disease, I certainly admit it has not been an easy journey. Making it worse is people not taking my symptoms seriously. Being a respected actress and businesswoman and sharing her story, Esposito is the voice for all of us who feel unacknowledged and alone. Esposito’s diagnosis story is a page-turner. She suffered severe symptoms for 20 years: gastrointestinal issues, ongoing sinus infections, dumbness in her hands and feet, depression, panic attacks, hair loss, dental issues, and a miscarriage. I was astounded that someone with her clout and resources received the same lack of respect from medical professionals as the rest of us do. Before seeing the doctor who finally gave her illness a name, Esposito writes, “I expected nothing, but hoped for everything.” How many of us with this disease–or any autoimmune disease for that matter–have felt the same way? Esposito vividly describes what it’s like for one’s body to detox from a lifetime of eating gluten. I’ve never read a truer account. Going gluten-free isn’t an overnight cure–it’s a process that can make one feel even worse than when eating bread and pasta. While every person’s course of healing is different, Esposito shares concrete tips on how she improved her health through self-study. She answers questions the medical establishment typically doesn’t. Readers will surely come away with an idea or two. I know I did. While Esposito does share recipes from her successful gluten-free, dairy-free, soy-free, peanut-free organic New York City bakery, also named Jennifer’s Way, and she has plans to go nationwide with her baked goods (can’t wait! ), this book is by no means a promotional tool as some may suspect. Nor is it a celebrity tell-all as those unfamiliar with celiac disease have ignorantly suggested. 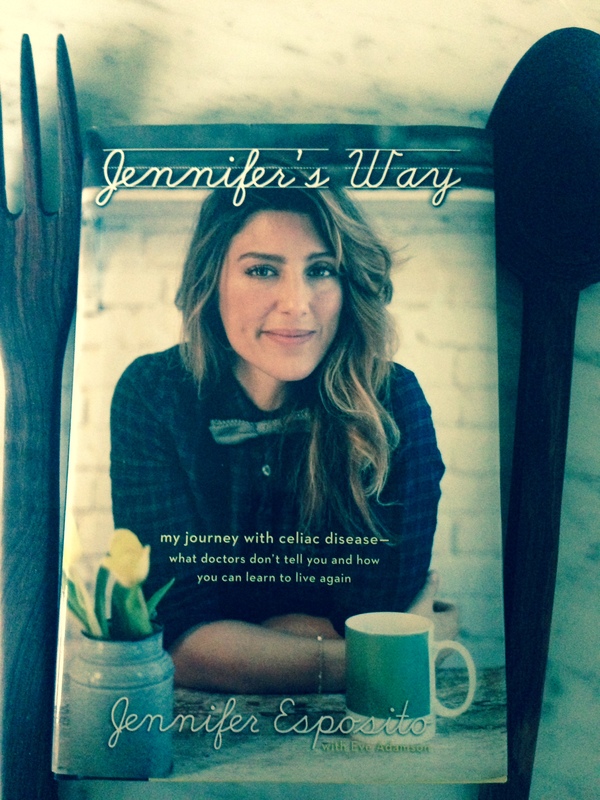 Jennifer’s Way is a supportive and informational guide for the newly diagnosed and the yet-to-be diagnosed. Family members and friends of those with celiac disease as well as those in the medical community should read this book. So should those joke-cracking celebrities. 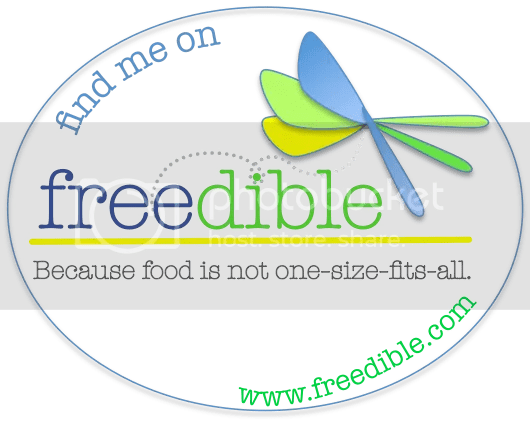 An Allergic Foodie Reviews Jennifer’s Way first appeared at Adventures of an Allergic Foodie. Can’t wait to read this! I am currently going through a pretty rough patch with medical professionals who are not supportive, professional, or knowledgeable enough to help, and (much worse) family who doesn’t take me seriously. It is pretty ugly/scary to discover family members sneaking the ingredients that you specifically beg them not to use into the foods they prepare for you because they believe that you are just going through a phase or that you just need to toughen up. Your note means a lot to me as I put a lot of time into the blog and sometimes wonder if anyone out there is reading it. 🙂 You made my day! I enjoyed reading your review! I now feel as though I must get her book right away! Jennifer’s Way has been on my “to buy” list for a while now. We went through a terrible journey with our daughter, so we can relate to some of her experiences I’m sure. A few weeks ago, I turned on the tv in the middle of the morning and found Jennifer making a gluten-free and vegan french toast on one of the morning talk shows. The french toast looked so easy and delicious that my kids and I made it for their dad on Father’s Day. Yummy! I am just so disappointed that we missed visiting her bakery in the Spring while we were visiting NYC. I was unaware of her and her bakery at the time. Instead, we visited Babycakes and my gluten intolerant daughter was literally in heaven. Donuts!! Next time we’ll be sure to pop by Jennifer’s Way for a taste or two! I’m sorry to hear your daughter had a rough journey and I’m sure you will connect with Jennifer’s story. Honestly, hearing what Jennifer went through made me grateful that we caught out son’s CD early because I’d already been diagnosed. I really like that Jennifer’s recipes are allergy-friendly–not just gluten-free–so that many more people can enjoy them. Please let me know if you find any others you like–I am going to try the French toast now! I applaud anyone who can write about such a journey. I have the book on my TBR. Thank you for sharing.